September 14, 1929 - June 10, 2018: Clayton worked for Woodburn Truck Line and he was known for pickup and delivery of freight with a 40' semi in downtown Woodburn and Portland. Clayton Orsborn passed away on June 10th, 2018 he was 88 years old. He was born in Roberts OR. on Sept. 14, 1929. 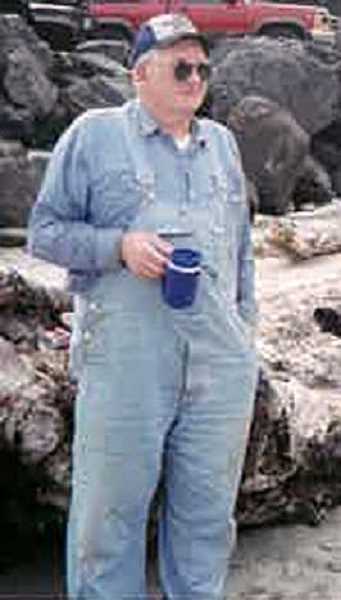 He was well known around Woodburn for wearing stripped bib overalls and a white tee-shirt in all kinds of weather. He worked for Woodburn Truck Line and he was known for pickup and delivery of freight with a 40' semi in downtown Woodburn and Portland. He is survived by life partner Sharon Harrell, son Dan, daughter Kathy (Bruce), and many grand-children and great-grand-children. He requested no services.